Alain uses the Touch Guitar U8 because it is a very fine instrument, which is very suitable for his style of playing and performing, it has a great playability and its balance of tone and sound. Alain is able to play subtle passages with confidence… and joy! At the age of eight Alain began playing with strings at the school, as member of La Tuna, a guitars, lutes, bandurrias and voices ensemble, traditional at schools. Next leap: solo classical guitar performance as a conservatory student in 1984. By the same time, Alain got an electric guitar and began to rock. 1989, first course at Guitar Craft school in Italy. 1996 Alain began to learn to play the Chapman Stick. This was in fact the beginning of Alains dedication to develope as a touch style player. Soon after he moved to Warr Guitar and finally he became aTouch Guitarist. 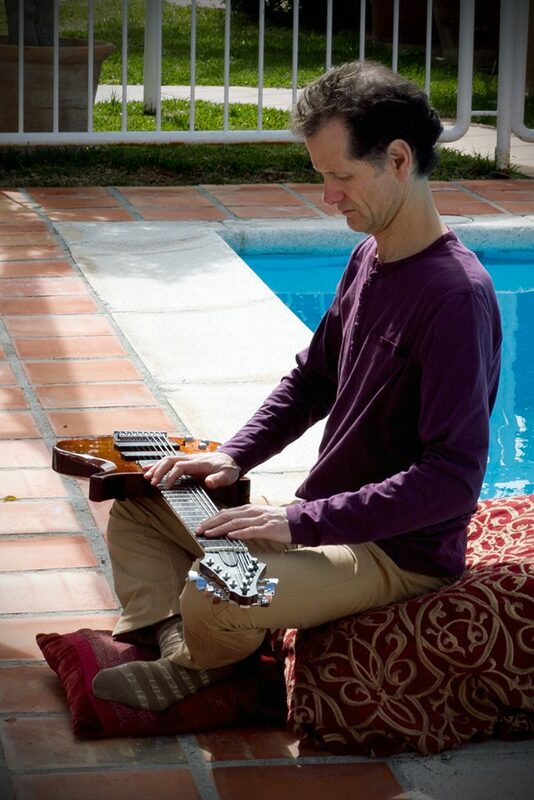 In 2011 Alain began playing meditation music. At some point he put the instrument in a table, horizontal, and called it the Diapason, which points the concept of playing a touch style instrument in a more open way.